Jan. 29, 2019, 11:39 a.m.
To provide strategic leadership, technical and operational direction in Development Policy for the achievement of the mandate of the Commission. a) Manage the preparation and implementation of the work programme of the Development Policy Division in conformity with the overall work plan of the Commission. b) Coordinate the national development policy processes, including the formulation and adoption of national development policy frameworks by the relevant stakeholders. c) Direct the design and conduct of the analyses of socio-economic development, human development, spatial and environmental policies. d) Provide oversight for the constant review and tracking of indicators on performance of the economy and make policy proposals based on sound economic analysis and projections. e) Initiate regular national dialogues on development policies and strategies to build consensus among key stakeholders for effective national policy ownership and implementation. f) Provide intellectual guidance and professional leadership to the staff of the Division, and effective supervision of the work of the staff of the Division. g) Work in close collaboration with ministries, department and agencies (MDAs), Regional Coordinating Councils (RCCs) and Metropolitan, Municipal and District Assemblies (MMDAs) to identify and advise on the human resource and capacity-building needs of their Policy, Planning, Monitoring & Evaluation Divisions (PPMEDs), Regional Planning Coordinating Units (RPCUs) and District Planning Coordinating Units (DPCUs). h) Undertake continuous assessment of capacity and training needs of the national decentralised planning system and coordinate the development of appropriate training and orientation programmes for key institutions as well as for staff of the Division. i) Advise the Director-General on all matters relating to national development policies and strategies at all levels. a) A master’s degree from an accredited tertiary institution in Economics, Development Studies, Social Sciences, Development Planning, Public Policy, Management, or any related field. b) A PhD in a relevant filed would be an added advantage. c) A minimum of ten (10) years’ post-qualification relevant work experience in development policy analysis, strategic planning, research or teaching, of which at least five (5) years has been in a senior public policy management position. d) Certificates or professional training in the areas of quantitative methods, strategic planning, monitoring and evaluation, project management, leadership, organizational development and performance management will be an added advantage. a) A strong background in quantitative methods, and demonstrable knowledge of the use of econometric, economic or development planning models for policy analysis. b) Excellent knowledge of participatory planning and evaluation methodologies and experience in the use of planning tools as well as an appreciation of Ghana’s corporate policies, the challenges and operational issues within the public sector. c) Publications or articles in relevant reputable professional journals will be an added advantage. d) Outstanding leadership skills and demonstrable experience in managing complex, multi-disciplinary tasks, as well as team-building and people-management skills. e) Effective planning and organizational skills, demonstrable ability in strategic and analytical thinking, strong research capabilities as well as excellent communication skills, with a demonstrable ability to communicate complex development policy issues clearly. f) Demonstrable competence in the use of computers, including the use of relevant software and applications for planning and plan analysis. g) Verifiable skills in problem solving, consensus building, and coordination of diverse stakeholders. To provide strategic leadership, technical and operational direction in Research, Monitoring and Evaluation for the achievement of the mandate of the Commission. a) Plan and manage the work programme of the Research, Monitoring and Evaluation Division and its implementation in conformity with the overall work plan of the Commission. b) Provide intellectual guidance and professional leadership to the staff of the Division and effective supervision of the work of the staff of the Division. c) Guide the establishment of a comprehensive national M&E system with procedures that ensure effective and participatory monitoring and evaluation of the implementation of national polices, programmes and projects. d) Coordinate the conduct of research in the Commission. e) Oversee the preparation of M&E guidelines for all planning authorities at all levels of administration and governance. f) Coordinate the process of preparing the national, sector and district M&E reports with the participation of public sector agencies, District Assemblies, private sector, and civil society, including identifiable groups. g) Coordinate and ensure the timely production and wide dissemination of relevant reports (regular and periodic) including Annual Progress Reports. h) Support the establishment and maintenance of an effective Management Information System (MIS), Geographic Information System (GIS) and related databases such as the national identity and address systems, as the backbone of the national M&E system. i) Work in close collaboration with ministries, department and agencies (MDAs), Regional Coordinating Councils (RCCs) and Metropolitan, Municipal and District Assemblies (MMDAs) to identify and advise on human resource and M&E capacity development needs of Policy, Planning, Monitoring & Evaluation (PPMEDs), Regional Planning Coordinating Units (RPCUs) and District Planning Coordinating Units (DPCUs). j) Advise the Director-General on all matters pertaining to M&E at all levels, including monitoring and evaluation of NDPC’s programme of work. a) A master’s degree from an accredited tertiary institution in Statistics, Economics, Social Sciences, or in any related field. b) A Certificate or professional training in Quantitative Economics or Econometrics. c) A PhD would be an added advantage. d) A minimum of ten (10) years’ post-qualification relevant work experience in Programme or Project Planning, Monitoring and Evaluation, Research or Teaching, of which at least five (5) years would have been in senior Public Policy Management position. a) A strong background in Quantitative Economics and demonstrable knowledge of the use of development planning models for policy analysis. b) Excellent knowledge of participatory planning and evaluation methodologies and experience in the use of planning tools as well as an appreciation of Ghana’s corporate policies, and the challenges and operational issues within the public sector. Publications or articles in relevant reputable professional journals will be an added advantage. c) Outstanding leadership skills and demonstrable experience in managing complex, multi-disciplinary tasks, as well as exhibit strong administrative, team-building and people-management skills. d) Effective planning and organisational skills, demonstrable ability in strategic and analytical thinking, strong research capabilities as well as excellent communication skills with a demonstrable ability to communicate complex development policy issues clearly. e) Demonstrable competence in the use of computers, including the use of computer software and applications for planning and plan analysis. f) Verifiable skills in problem solving, consensus building, and coordination of diverse stakeholders. To provide strategic leadership, technical and administrative direction in Plan Coordination for the achievement of the mandate of the Commission. a) Plan and manage the work programme of the Plan Coordination Division, and its implementation in conformity with the overall work plan of the Commission. b) Efficiently manage and effectively supervise the work of the Division. c) Lead and facilitate the preparation of Planning Guidelines at all national and local levels. d) Coordinate the preparation of multi-year national development plan and annual divisional reports. e) Ensure the preparation of sector and district development plans. f) Lead in the strategic planning component of the Medium-Term Expenditure Framework (MTEF) for budgeting and fiscal decentralisation. g) Lead in organising the training of the staff of Policy, Planning, Monitoring & Evaluation Divisions (PPMEDs) of MDAs, Regional Planning Coordinating Unit (RPCU) staff of the Regional Coordinating Councils (RCCs) and District Planning Coordinating Unit (DPCU) staff of MMDAs. h) Lead in the preparation of NDPC development planning, budgeting and other inputs in the Medium-Term Expenditure Framework (MTEF) for national budgeting. 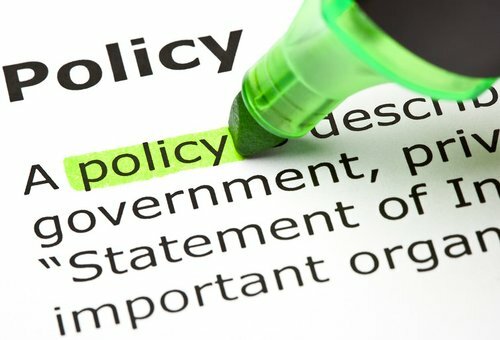 i) Ensure that comprehensive studies and research are conducted as required in the process of rationalising, harmonising and synthesising the economic, social, environmental and spatial components of development for the purposes of preparing, reviewing and updating long-term perspective plans, medium-term development plans and annual action plans. j) Ensure timely and effective work-flow and feedback. 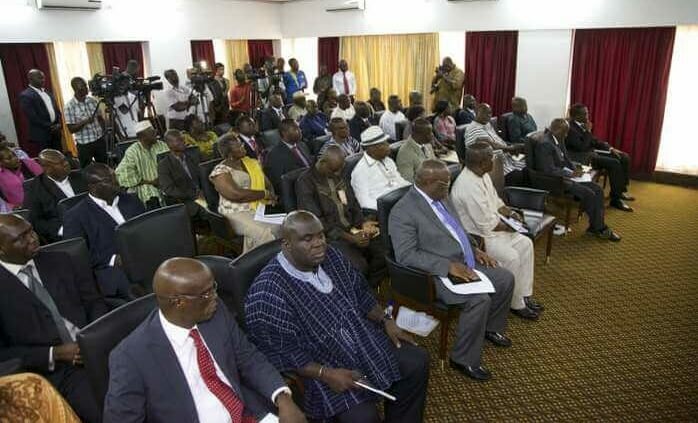 k) Advise the Director-General on all polices and other matters related to all the sections and units under the Plan Coordination Division. l) Work in close collaboration with MDAs and MMDAs and advise on training, qualification and employment of required planning personnel. a) A master’s degree from an accredited tertiary institution in Planning, Development Studies, Social Sciences or any related field. b) A minimum of ten (10) years post-qualification relevant work experience in Integrated Planning, of which at least five (5) years has been in a senior Public Policy Management and/or Development Planning position. c) A Certificate or professional training in Quantitative Methods and/or Policy Analysis, is an added advantage. a) A strong background in qualitative and quantitative research analysis, and excellent knowledge of development planning models for policy analysis and formulation. b) Excellent knowledge of participatory planning, monitoring, measuring and evaluation methodologies and experience in the use of planning tools as well as an appreciation of Ghana’s corporate policies, and of the challenges and operational issues within the public sector. Publications or articles in reputable professional journals will be an added advantage. c) Outstanding leadership skills and demonstrable experience in managing complex, multi-disciplinary tasks, as well as strong administrative, team-building and people-management skills. To provide strategic leadership, technical and administrative direction for the management of resources (financial, human and material) for the achievement of the mandate of the Commission. a) Manage the preparation and implementation of the work programme of the General Services Division in conformity with the overall work plan of the Commission. b) Ensure prudent management of resources through the effective implementation and monitoring of administrative and financial policies, regulations, internal control systems and guidelines. c) Work to improve processes and policies, and lead long-term organizational planning. d) Oversee the organisation’s human resources, including maintaining personnel records, and ensuring that personnel policies are up to date. e) Develop and implement a contract management system, with the support of external consultants. f) Design systems, policies and procedures for the preparation, implementation and monitoring of annual budgets and financial reports. g) Liaise with the Chief Accountant to coordinate and supervise the preparation of financial reports; and with external auditors to coordinate the auditing of financial transactions of NDPC. h) Design and implement systems and procedures for the proper recording of all administrative processes. i) Coordinate and ensure the timely production and dissemination of relevant reports (regular and periodic) including Annual Reports. j) Assess and monitor administrative and support systems, and evaluate the efficiency of programme delivery methods and procedures. k) Advise on administrative matters in the implementation of NDPC plans. a) A master’s degree from an accredited tertiary institution in Public Administration, Human Resource Management, Governance, Social Sciences, or any related discipline. b) A minimum of ten (10) years post-qualification relevant work experience, of which at least five (5) years has been in a senior management position in a reputable institution. c) Certificates or Professional training in the areas of Corporate Governance and Leadership, Organizational Development, Strategic Planning and General Management, Resource Mobilization and Donor Fund Management and Performance Management will be an added advantage. d) Affiliation/Membership with a relevant professional body is an added advantage. a) Considerable knowledge of management, budget and financial management principles and practices, specifically of the new Public Financial Management Act, the National Labour Act, Internal Audit Agency Act and the Public Procurement Act. b) Proficiency in the use of computers and an understanding of systems management. c) Proven administrative, management and leadership skills. d) Experience in providing oversight in the management of donor funds and related accounting. e) Excellent interpersonal and relationship-building skills. f) Excellent communication skills, including the ability to articulate institutional goals and achievements in a compelling manner to diverse stakeholders. g) Good planning and organization skills and ability to work effectively as part of a team. h) Ability to use judgment and take initiatives. i) Ability to maintain confidentiality. To provide technical and operational support in Information Technology for the achievement of the mandate of the Commission. a) Responsible for the day-to-day administration of the IT unit. b) Lead the development of IT/IM strategic plans for NDPC. c) Review procedures, standards and guidelines to support the implementation of IT/IM systems within the Commission. d) Manage the design, development and the deployment of IT/IM projects of the NDPC. e) Recommend technical specifications for the requisitioning, procurement and the deployment of IT/IM infrastructure for NDPC. f) Ensure the management and development of IT skills for staff of NDPC. 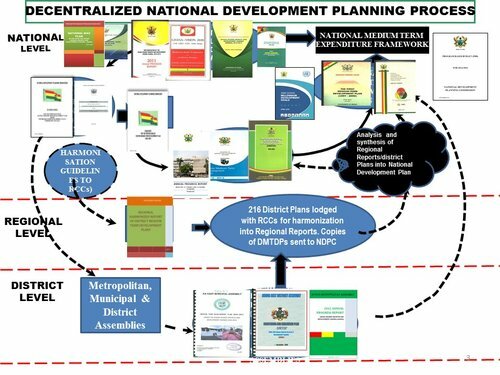 g) Plays a central role in development planning reforms proposed by the Commission, including the introduction of e-planning to MDAs and MMDAs. h) Monitor and manages security violations involving the use of NDPC computer installations and systems. i) Serve as the Chief Technical Advisor on IT/IM matters for NDPC. j) Submit an annual performance report on the work of the IT Unit. a) A master’s degree from an accredited tertiary institution in Computer Science, MIS, or any related field. b) A minimum of six (6) years’ relevant post-qualification working experience in a reputable organisation. a) Very good knowledge in Computer Engineering, Programming, Networking, and Database Management. b) Excellent knowledge in advanced information technology and IT security standards. c) Knowledge in Policy, Strategic and Project Management skills. d) Very good analytical, leadership, interpersonal and communication skills. e) Knowledge of financial administration procedures and procurement processes. f) Monitoring and evaluation skills. g) Knowledge and understanding of public sector management.